Mike: How large a company is CouponCabin? Jackie: CouponCabin was founded in 2003 by Scott Kluth with 150 stores and 1,000 offers. Since then, the business has grown to 41 employees, 125,000+ offers and nearly 3,000 stores. The site offers online coupon codes, printable coupons, local coupons and grocery coupons. Mike: What brought you into the coupon business? Jackie: The founder was one of the developers of a major retailer’s e-commerce site. As part of the development process, he was given a budget each month to buy things on competitor sites and he was able to keep whatever he bought. In order to stretch his budget each month, he would search online for coupon codes but it took a lot of time and patience to find one. That was when his “a-ha!” moment came – he wanted to create a place that was a one-stop shop to find these ‘elusive’ coupon codes to save money when shopping online. Thus, CouponCabin.com was born. Mike: I tried out the service myself. I like that I can click on the coupon link and I’m taken to the site and the coupon is already activated. I didn’t have to type in any codes. I also didn’t find any invalid codes. Is that how it works for all your coupons? Jackie: Some of our coupons activate automatically when a link is clicked but many also require codes to be entered in the box at checkout. We test our codes three times a week to ensure that they work every time. 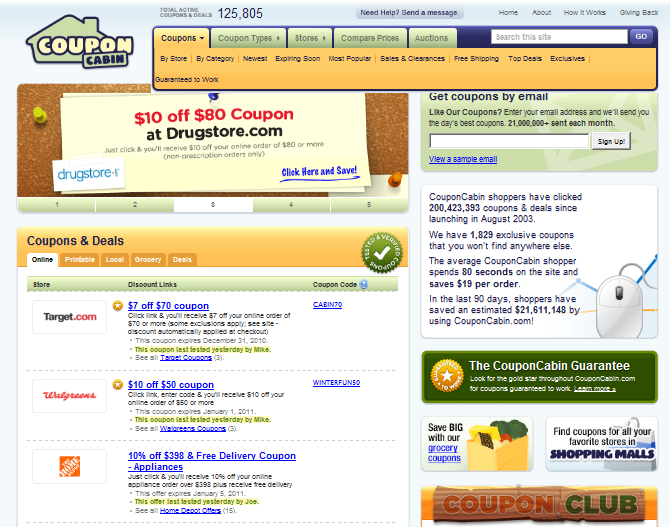 Unlike other sites, expired coupons are automatically removed from the site. In fact, we recently launched the CouponCabin guarantee – if one of our guaranteed offers doesn’t work, we’ll buy you dinner! Mike: Can you share the volume of traffic that your site receives in a typical month? Jackie: In November 2010, CouponCabin had 6,144,261 visitors, up 59% from November 2009. 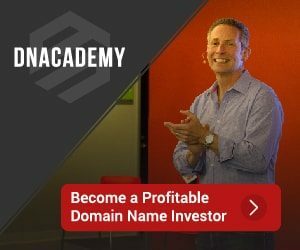 Mike: What were you looking for in a domain name when you chose CouponCabin.com? Do you think your strategy is paying off? Jackie: We were looking for something catchy that users would remember. Yes, it is certainly paying off. Mike: We’re all in business to make a profit. How does the site generate revenue? It seems like you’re giving discounts, but I don’t see any advertising. Jackie: We use unique tracking links for each of our merchants to track sales made through our site. We then receive a commission based on these sales. Thanks, Jackie, for proving a look into the business at CouponCabin.com. I see their ads on google all the time and they also rank well for many coupon terms. Alliteration is used so often when naming companies it seems.